Beauty is big business. It’s estimated that the global value of the market in 2014 was around $460 billion, which is unfathomable in a world where there are still people struggling to feed their families on a daily basis. There’s no doubt that the power of a great lipstick goes beyond just making our lips look more delicious; it has the ability to fill us with confidence and perk up an otherwise dull day. Brands have understood this for generations, appealing to our insecurities and promising to fix them with any number of new wonder ingredients, but as consumers become increasingly savvy we’re turning to budget buys as much as luxuriously overpriced ones. Not everybody has a never-ending pot of money from which to make non-essential purchases, so how can we make savvy shopping selections without compromising on the effectiveness of our routine? Over the last ten years I’ve been exposed to all number of brands and products, and as a result I’ve been able to understand what’s worth the investment and what’s not; if you want to become a savvier shopper, then I’ve broken some key beauty areas down into where it’s worth splurging, where it’s worth saving and where it’s still up for debate. I hope it’s useful! FOUNDATION: I’ve tried endless number of foundations, but I have to admit the ones that out-perform the rest always come with a heftier price tag. In my experience it’s the premium brands that offer a huge range of shades, which allow you to find your perfect match, as well as finishes and colour enhancing undertones; high street buys can be great in your 20’s, but generally speaking it’s worth spending a little more to get a foundation you’ll treasure. CONCEALER: Similarly, the texture of more expensive concealers is friendlier on fine lines and generally less prone to caking. Often the ingredients used are of higher quality and the formulas have been designed for professional use, meaning the result is flawless rather than offering up an obvious panda-eye. SERUM: Although the thought of spending £40 or more on a serum may give you the heebie jeebies, it really is an investment in your skin. Mid-priced brands tend to offer targeted and effective ingredients in more effective quantities, with the clinical trials and data to back up their claims. Budget brands keep their costs down by reducing the ‘actives’ inside, but equally super premium brands don’t really offer any other value as you’re just paying for a fancy bottle. CLEANSER: I can quote one Lady Hirons here, who only this past weekend said we “should be spending less on moisturisers and more on cleansers.” I couldn’t agree more. A great cleanser should be the basis of any routine, as it’s what we rely on to remove the day’s build-up and dirt; without this our skin will be overloaded with grime, which not only causes irritation but actually accelerates ageing too. You should be aiming to spend £15-30 on a good cleansing oil or balm – because your skin is worth it. Skip the face wipes, micellar water and foaming cleansers altogether. NIGHT CREAM: As we sleep our bodies repair damage and rejuvinate, mainly because they don’t have to tackle environmental aggressors that are their main focus during daylight hours. A night cream enriched with ingredients such as hylaronic acid, retinol and rosehip oil will help to target areas of dullness, dryness and ageing skin – but they always come with a price. Investing in your skincare routine now will pay dividends in the future, so splurge on a great night cream the next time you’re considering spending £30 on another eyeshadow palette. LIPSTICK, LIP GLOSS & LIP BALM: At the end of the day, this is gloopy stuff we apply to our lips. Its sole purpose is to coat the surface in colour, add a touch of shine or temporarily soothe away dryness. You don’t need a £30 lipbalm or a £25 lipstick, but that doesn’t mean you shouldn’t justify a little indulgence just because it’s payday. POWDER: The main difference between a budget powder and a more expensive counterpart is how finely its milled. Unless you’re incredibly concerned about fine lines or apply a tonne over the top of your base every morning, a light dusting of even the most budget buy will suffice. I’ve been using one that costs £2.99 for years and it’s still serving me well. EYESHADOW: Although I love an Urban Decay, Too Faced or Laura Mercier eyeshadow, there are so many budget buys available that are practically the same in performance. Unless you have super sensitive skin, opting for a palette of colour that sets you back less than a tenner is always a great idea. You don’t have to worry about changing your look, trying new things or the palette smashing in your bag; premium brands charge you for the luxury of being packaged beautifully and offering up a moment of indulgence, but that’s not absolutely necessary. MOISTURISER: You may be surprised to know you don’t really need to spend a fortune on your moisturiser – as long as the rest of your skincare regime is top notch. All you need this to do is offer hydration, so it’s a great place to save money. Some of the most popular brands cost less than a fiver, so it’s worth doing your research and finding a budget buy that meets your needs. NAIL VARNISH: The Chanel nail polishes may elicit collective swoons, but they’re well known in the industry for being appalling when it comes to staying power. I hardly ever write about nail varnish that’s above a fiver, because you don’t need to spend a fortune to get a great finish. Some of the best brands out there include Barry M, Models Own and Rimmel – so save your cash, change your polish every week and enjoy it. HAIR STYLING PRODUCTS: In all honesty, there’s often no difference in quality or performance between a super cheap buy and one with a Harrods-appropriate price tag. A great hairspray just needs to keep your ‘do in place; a fab hair oil just needs some ingredients that can control and add shine. With brands including Vo5, Tresemme, Batiste and Schwartzkopf offering great styling aids, there’s no need to spend a fortune to get results. EYELINER: I’ve tried the most expensive and the cheapest eyeliners, and cost isn’t ever an indicator of quality. Some of the pricier numbers are just as horrendous as £2.99 buys, but then some of my favourites range from a £4.99 pen to a £24.99 bottle. My best advice is just to try, find a favourite and stick to it – don’t be swayed by the price, because when it comes to eyeliner it doesn’t mean a thing! BROW GROOMING: Although some of my most used brow tools come from Urban Decay, Bobbi Brown, Anastasia and Benefit, I’ve also got some fab ones from Essence, Collection and Rimmel. Depending on how sparse your brows are, what you’re after and what your budget is, it’s worth exploring different textures and finishes until you find the one that works for you. 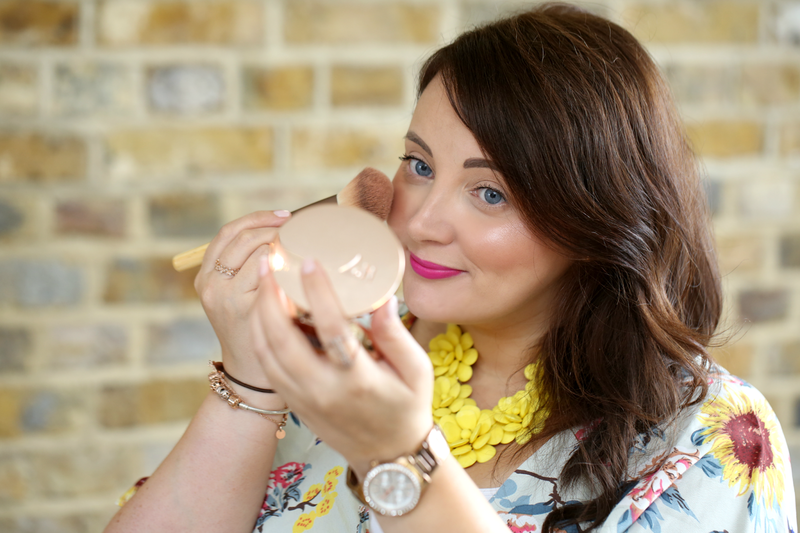 BLUSHER, HIGHLIGHT & CONTOUR: One of the things I love most about budget beauty is the number of affordable blushers, highlighters and contouring tools. Some of the more affordable brands create amazing dupes and offer incredible textures, but that also doesn’t take away the beauty of some of the most iconic products that many of us can’t be without. (Benefit and NARS I’m looking at you.) It’s good to grab a bargain, but it’s also worth making an investment if you find your perfect shade. SHAMPOO & CONDITIONER: Having worked for a professional hair care brand for a few years, I’ve become somewhat of a shampoo snob. Many of the cheaper brands fill their shampoos and conditioners with stripping foaming agents and greasy silicone (which just sits on the surface of hair,) which can leave barnets in dire need of a hairdresser. However, more and more affordable brands are turning SLS and silcone free and are worthy of a purchase: L’Oreal are making a splash in this area and I’m turning to them for my haircare needs for the first time in a decade, while even Pantene have developed lightweight foams for thin hair. Depending on your hair type, it’s a category that offers great alternatives for all budgets. Although there are of course always exceptions, generally speaking this is my experience across beauty categories and where I personally believe it’s worth splurging, saving or investigating further. What’s exciting right now is the amount of innovation that’s shaking up the industry and how we no longer have to spend a fortune to get a great product. Hail the bargain beauty buys – because they’re making other purchases all the more possible! Are there any categories you think are worth a splurge or save? Next Post Confused About What All Those Makeup Brushes Do? Here’s Your Ultimate Fool-Proof Guide! Mascara is one I forgot! And yes, absolutely, you can get great mascaras for a fiver. Definitely a save category! Mascara is a save for me, purely because I wear contact lenses so am weirdly paranoid about eye infections and see no point in blowing upwards of £15 on something I'll chuck in six months. Also in the 'up for debate' category would be brushes – I have some great cheap brushes from Real Techniques, Models Own etc but also love MAC and Zoeva brushes. And perfume in the spend category; I've had some good cheap perfumes from Body Shop and Library of Fragrance but because the scents don't last very long you have to regularly reapply, so it's a bit of a false economy.